When the recent Brexit vote to jettison the European Union from Britain's list of alliances was cast, there was a quick agreement that the referendum clearly would doom at least western economies and markets for the foreseeable future. 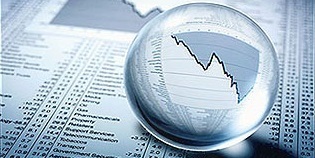 Subsequent trends have, however, demonstrated that in our current topsy-turvy world, the future is rarely foreseeable. Indeed, U.S. markets have generally been sound as a, uhm, dollar for most sessions following the British vote. But looking ahead, while August and September markets have typically eschewed the imprimatur of resilience, that record has, almost without exception, been mitigated quadrennially by the occurrence of presidential elections. How've we done so far? Looking back, the current year began with a first quarter that was anything but power packed. Things improved relatively for the markets in the following quarter. And Britain's surprise, along with our own domestic upheavals notwithstanding, the newly-entered third quarter has thus far cast an element of substantiation toward the history of prexy balloting years. As to the what lies ahead for the entirety of 2016, the role of election day is itself difficult -- maybe impossible -- to forecast. There is, however, a scent in the air indicating that second-half earnings will probably outdo those of the first half, perhaps handily. That result, should it occur, would hardly prove detrimental to the equities markets. Turning to the economy, query a dozen economists and you'll likely walk away with a like number of opinions regarding the presence of a recovery -- a conclusion that's been ballyhooed in some quarters for seven or eight years now -- or the likelihood of an approaching recession. While we're more likely to cast our lot with the former cadre, the presence of lingering economic softness simply can't be ignored. For instance, while the first quarter's gross domestic product was revised upward, the final 1.1% figure would hardly inject fear into any modern-day Goliath. Prognostications for the secondt quarter are typically in a far more robust 2.5% to 3.0% range, but those forecasts may be sprinkled with a hint of Pollyannaism. That last comment is at least partially informed by the essential existence of a lone driver (or group thereof) keeping economic performance in the positive lane thus far in 2016. As you likely recall from time spent delving into the tenets of the "dismal science," GDP constitutes the additive of government outlays, business investment, and consumer spending. The three are hardly equal, however, with consumer shopping making up more than two-thirds of the total. But with consumers having carried even more than their normal share in propping up the economy for some time, it becomes reasonable to question whether "the folks" can continue to play that role ad infinitum. The somewhat controversial employment numbers are hardly fodder for one to weigh in with a nonchalant response of "of course" in opining on the consumer conundrum. While the Labor Department's contention that 287,000 jobs were created in June had numbers of seers and media types proverbially clicking their heels, May's numbers were puny at best, and the overall trend remains southerly. Which leads, in at least a meandering way, to a glance at inflation and, consequentially, the Fed's likely course going forward. For starters, the rate of overall price increases has once again shrunk sufficiently to qualify it for a mount in Louisville on the first Saturday in May. And with no price bubbles in sight, even some in the Fed have become anything but reticent about stating the probability of the central bank's leaving well enough alone for now. For instance, Neel Kashkari, President of the Minneapolis Fed, last week offered that, "We feel like we can be patient to let the economy continue to heal before we start moving aggressively to raise rates." All in all, we'll likely avoid a Fed-induced rise in rates until year end, and perhaps well beyond. The presidential election could easily affect the markets in, say, a September and October timeframe, but just how it might do so remains elusive. And while the candidates' tax plans are still works in progress, that aspect of the contest will certainly have a significant effect on its outcome. Thereby, it merits careful and continual monitoring. Geopolitics once exerted a profound effect on the markets, along with, for instance, commodities prices. For instance, a decade or two ago, who'd have bought the notion that chaos across much of what's typically termed MENA (the Middle East and North Africa) would nevertheless allow crude oil prices to nest below $50 a barrel? In a similar vein, the ultimate impact of the aforementioned Brexit decision may be less readily definable than was assumed at first. The U.K. will probably be squeezed somewhat, although the Bank of England's surprise decision last week not to lower rates makes one wonder if even our friends across the pond believe the consensus expectations. And while most observers concur that Europe will ultimately be dragged down, at least somewhat, by losing a key member of its confederation, we might be well advised to keep our powder dry relative to firing at that predicted target. So there you have it: far more questions than answers afoot with both the markets and the economy. On that basis alone, it appears eminently sensible for U.S. investors to place conservatism and caution atop their investment approaches.